...and i'm drooling to knit a pair of thrummed mittens. duh. 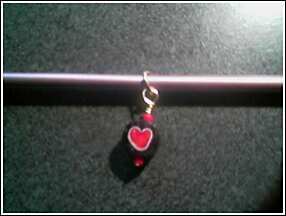 but instead i drove to michaels after work to pick up some stuff to make...you guessed it...stitch markers! it's too hot to go anywhere, unless i decide to go to the pool, which i doubt i will. 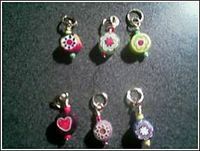 so i'll cozy up to the computer, chat with some knitting friends and make some stitch markers with those millefiori beads i told y'all about a long time ago. wheeee! 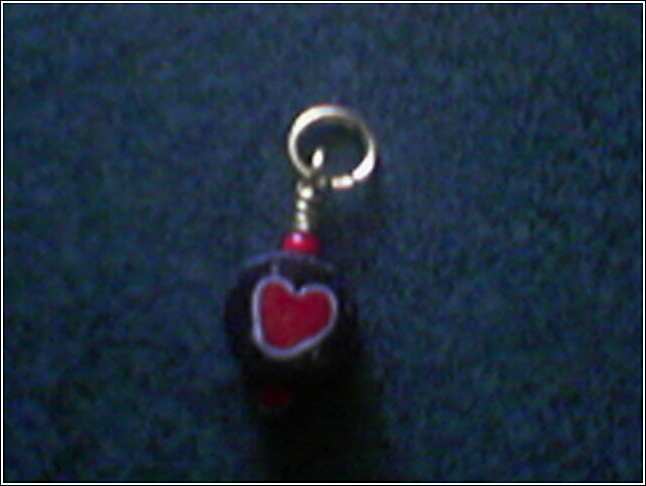 ...and here's the first one! 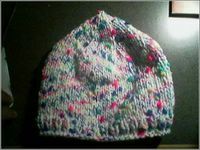 oh, have a look at the baby hat i just finished! wow! i knew you could do it! they look great. Love the stitch markers - very elegant. 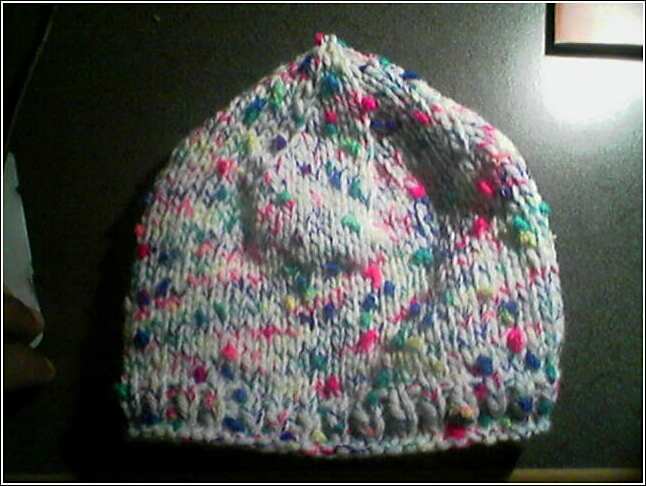 And the baby hat is just too cute! Thanks for sharing. Great stitch markers. Hope you get to use them soon on something fun!! Woo Hoo - LOVE those stich markers! 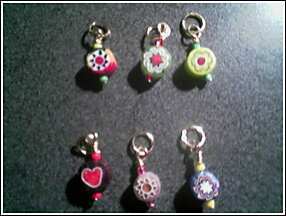 I like the millefiori beads too! Beautiful stitch markers and the baby hat is adorable. Love the baby hat too. Will really go with that sweater for the new baby. Really hope to see him/her wearing it.